This 45 minute class will relax you after the first part of your day and energize you for the remains of the day. 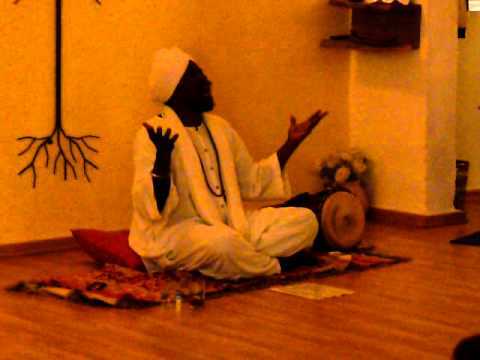 Japa Meditation is a Kundalini Yoga practice, and is regarded as one of most effective ways of meditation. It combines recitation of a mantra with sound, movement and/ or mudra – hand position, to enhance the flow of energy, develop and balance the mind, and achieve a de ep and healing state of inner peace. This weekly 45 minute class is ideal for anyone interested in reducing stress while improving mental focus. Class is available for all 10 class card holders and for drop in. What is the thing that will cause us to experience happiness, contentment, fulfillment? Will we experience it when we achieve our dream job? Our dream car or house?Our dream relationship? Will we then experience Love fully? learn to use the technology of Naad yoga – the yoga of sound, and Mudra Meditation – hand positions that activate specific areas of the brain, to become present, to distinct between love for objects and things and love that comes from divine source, and to project your inner light. Together we will create an ecstatic experience of uniting mind and body, self and others, human and the divine.Previous experience of meditation or musical talent not necessary. Meditation is a tool of active listening that promotes harmony between the inner realm and the outer realm, and connects us to true reality and to the source of our power. We tend to think of meditation as a state of physical stillness, but a meditative state can be achieved also while being in action. In this workshop participants experience active meditations, including breathing meditations, meditations, mantra with movement meditation, kundalini meditations, guided imagery, quick and easy tools for relaxation, and use of percussion and mantra chanting to create mental and spiritual transformation. This workshop is taught together with Ayala Shimelman MA OTR CHT – a certified hypnotherapist, certified empowerment coach and certified stress management consultant. 439 South Broad St. suite 108 Trenton NJ (The Trenton Makes building, across from the arena). Join me for an hour of Kundalini Yoga practice. mind, connect with your inner wisdom and exceed your full potential. Learn to use Yogic technology, meditation practice, rhythm and drumming to deepen your awareness, facilitate listening, and enhance your ability to invite and include others in powerful conversations.